Coming of age can be really hard. It was even harder in 1980s New York. That’s the abridged version of what Ten Thousand Saints is about, but in case you need more, here it comes. The coming-of-age film—the latest film from American Splendor’s Shari Springer Berman and Robert Pulcini and part of Sundance 2015’s Official Selection—is adapted from the book of the same name by Eleanor Henderson, and takes place in a 1980s Manhattan replete with gentrification, AIDS, and the occasional riot. 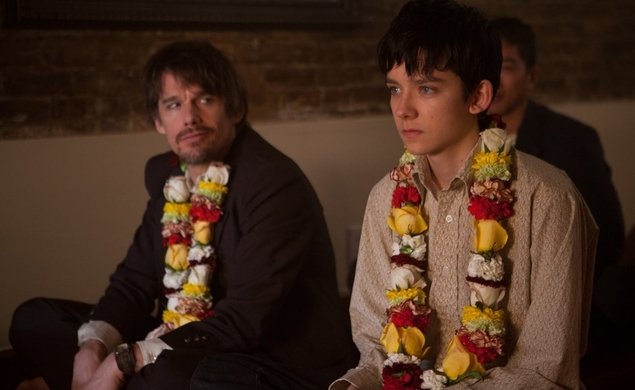 Former Spider-Man hopeful Asa Butterfield (Hugo) takes the lead role of Jude, a bored teenager (as if there were any other kind) who’s grown up far too fast and moves from Vermont to Manhattan to live with his spaced-out father Les (Ethan Hawke). His friendship with his half-brother Johnny (Emile Hirsch) and his pregnant hopeful love interest Eliza (Hailee Steinfeld) lead him into the world of straight-edge culture. The film’s latest trailer is out today, just in time for a depressing Monday blast to the past. Based on the trailer, it looks like the true hero of the film just may be Ethan Hawke, as he’s the most dynamic, least maudlin part of it all. But just his mere presence is fodder for terrible Boyhood puns and comparisons, something he clearly should have thought of before he decided to play the father to a boy ever again. Really, the trailer makes the case for Hawke’s Les to be an alternate timeline older version of Troy Dyer from Reality Bites, a little more road weary and a lot more stoned, and it’s a nice detour from the rest of the trailer’s bleakness. It’s really easy to latch onto Ethan Hawke’s jokey father figure here, because just the idea of a “coming-of-age film” evokes certain expectations, ones of formulaic sap that this trailer alone doesn’t do too much to subvert. Just at first glance, the film looks to be a darker—literally, in this instance—version of the flood of films like The Perks of Being A Wallflower, The Fault in Our Stars, and The Spectacular Now. As far as anyone can tell, no one is sick in Ten Thousand Saints, but the impetus of Jude’s sojourn to New York is his best friend Teddy’s (Avan Jorgia) overdose, so on the outside, it definitely checks the boxes of what it means to be a contemporary film about the formative years of really sad kids. But the most important factor shepherding this film away from the pack, if at all possible, is the setting of New York City in the late ‘80s—a world full of tension and unrest and confusion and violence. That alone makes for a backdrop that just might properly depict the internal struggles of these characters, even when they seem typical. 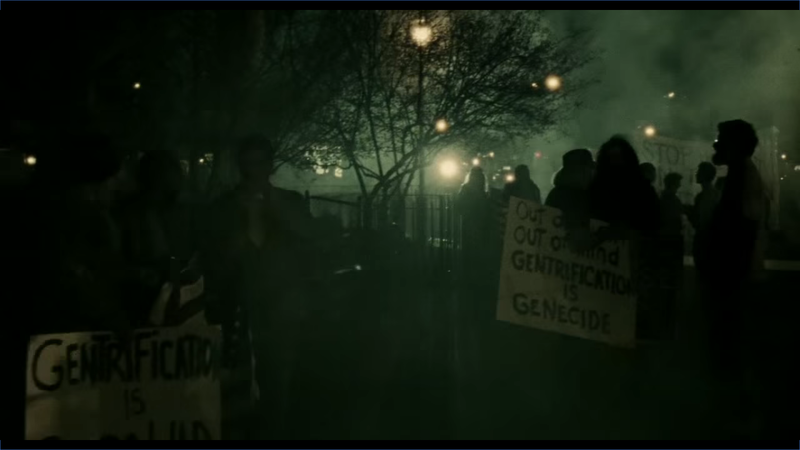 At least such a setting works far more than if the film were to take place in the suburbs. The trailer quotes a Variety review that calls the film (which was shot on Super-16, like it most likely would have been in the late ’80s) “a love letter to a bygone era of New York City,” which just might be the key to the film’s success outside of Hawke’s presence.